Felix Rosenqvist dropped out of contention for a possible top five finish in the Buenos Aires ePrix as the Formula E season resumed in Argentina on Saturday, the Swede suffering an unfortunate pit stop delay but snatching the bonus point on offer for setting the fastest lap of the race. Having scored a maiden pole position and podium last time out in Marrakesh last November, Rosenqvist carried his promising early-season form into his first-ever race on South American soil, instantly appearing at ease with his Mahindra Racing M3Electro around the streets of the Argentine capital. 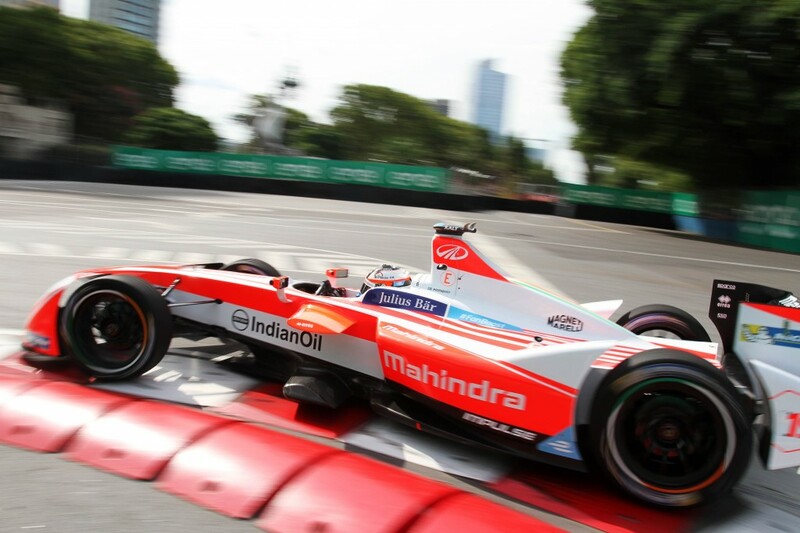 Despite a lack of previous experience of the Puerto Madero circuit – the only venue to have featured in all Formula E seasons to date – Rosenqvist went second quickest in practice, 0.165s shy of 2016 Buenos Aires winner Sam Bird (GBR) to boost hopes of a strong qualifying performance. In the grid-deciding session, however, Rosenqvist did not quite settle into the same rhythm, experiencing a rather messy flying lap to end up eighth on the grid for the ePrix itself. A strong getaway saw him slot into seventh as the race settled in before the mandatory pit stops, while efficient energy saving enabled the Swedish rookie to go a lap longer than his frontrunning rivals to set up a potentially advantageous shorter and more aggressive second stint. Once in the pits, however, Rosenqvist was delayed by roughly a minute due to a BMS (Battery Management System) issue that caused his second car to momentarily malfunction. From there, it was a repeat of the Hong Kong ePrix back in October for Rosenqvist, who changed his focus to try and claim the extra point on offer for setting the fastest lap. He succeeded in doing so a few laps from home, throwing in a 1m09.467s effort – establishing a new Puerto Madero lap record in the process. Rosenqvist was classified 18th in the race, which was won by Sébastien Buemi (SUI). Rosenqvist now sits fifth in the overall championship standings, just two points adrift of fourth-placed Jean-Eric Vergne (FRA). The next round of the FIA Formula E Championship is the Mexico City ePrix, scheduled in for April 1.